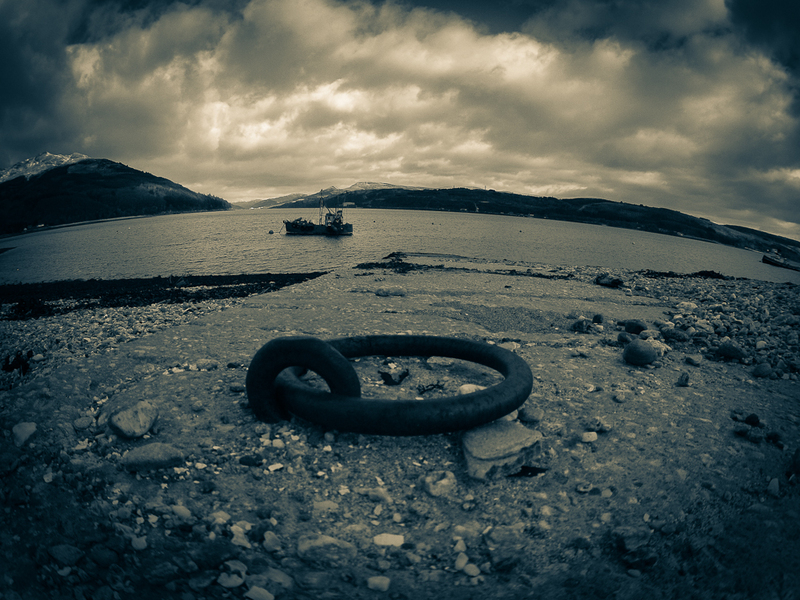 The photograph above was taken at “The Bothy” Stronvochlan, circa 1931. This appears to be the house that is now known as Ambleside Cottage, Ardentinny. Ian MacPherson-Blane who kindly provided us with the photograph, describes the scene.. “The man in the doorway was the cook for the Bothy and looked after whoever was staying there, gamekeepers or forestry workers. The three children in their bare feet in front of him are my mother (Margaret MacPherson) and her brothers Donnie and Jackie. 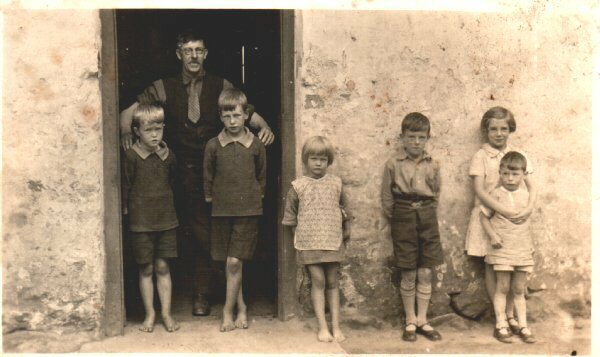 The three well dressed children with shoes are the holidaymakers who were staying at Seaview (now “Keeper’s Cottage”) where my mother’s mother would look after them. Probably the forerunner of the bed and breakfast industry”.